Edmond Heatley Withdraws Berkeley Candidacy Amid Much Protest About Him! Where Does He Go Now? Clayton County Again? Hell No! | Georgia Teachers Speak Out! ← Most School Superintendents Are Jackasses! They Expect Their Asses to be Kissed! Edmond Heatley Withdraws Berkeley Candidacy Amid Much Protest About Him! Where Does He Go Now? Clayton County Again? Hell No! Edmond Heatley, the controversial superintendent in both Chino Valley, California and in Clayton County, Georgia, has withdrawn his candidacy to be superintendent of the schools in Berkeley, California amid growing protests from teachers and community members against the board’s hiring him, according to The San Francisco Chronicle. A few days ago, the Berkeley board told a school board audience (see video link below) that it would be slowing down the vetting process for the superintendent slot and that the hiring of Edmond Heatley was not a done deal. Edmond Heatley, Beleaguered Superintendent — or Ex-Superintendent. The hubris of Edmond Heatley is enormous…and laughable. 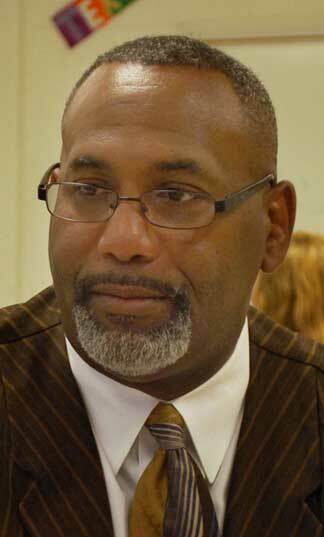 This arrogant and dictatorial superintendent actually tendered his resignation as superintendent in Clayton County, apparently thinking that he had the job in Berkeley locked down. The Clayton County School Board apparently was in the dark about what was happening, with the exception of Chairperson Pam Adamson. This is troublesome because of the so-called SACS standard which call for school board members to work collaboratively in and in concert. One board member – albeit even the Chair – cannot meet separately with the superintendent except in the matter of setting the agenda of the meetings. Pam Adamson cannot be some modern day Metternich or Kissinger. She only has the authority of one school board members acting collectively with the other school board members. So, where does the Clayton County School Board now stand? The Atlanta Journal-Constitution posed the question this week if this school board would take back Heatley. The response to this query as to whether this school board should take back Heatley on the AJC’s blog was a resounding “Hell No!” The Clayton County teachers and community members were dancing in the streets, so to speak, when the news came out that Edmond Heatley had resigned. Re-hiring Heatley would be tantamount to re-building the Berlin Wall! Ha! Nope. Luvenia Jackson will do just fine…for now. I have known Luvenia for nearly 30 years, and she is not a holy terror! She is a nice lady, and the good people of Clayton County deserve someone nice for a change. 2 Responses to Edmond Heatley Withdraws Berkeley Candidacy Amid Much Protest About Him! Where Does He Go Now? Clayton County Again? Hell No! Thank God for sending John Trotter, Norreese Haynes and the rest of the MACE Team to protect the futures of our children. Thanks, Dr. Craig. You are very kind — and a heck of an advocate too!